I won a copy of “The Captive Maiden”! Want to hear my thoughts on it? The way Gisela’s stepmother treats her is just so harsh – from the very first page (and this is where you first see the excellence of Melanie Dickerson’s writing), I could never have expected just how exceptional the rest of the story would be. But I am thrilled that I won a copy! Winning a copy compelled me to read it so that I could review it and support a fellow author. This is a wonderful story! Melanie Dickerson did a great job of molding a popular fairy tale into an inspirational story for teens that, I think, will appeal to adults as well. It’s also an answer to a prayer since I am hesitant about letting my daughter read more traditional fairy tales – which focus so much on magic. Now I can collect the previous 3 books Melanie has written and any more that are yet to come. Melanie Dickerson has taken out the magic and weaved God into every part of this story. So instead of confusing teens, Melanie Dickerson offers hope and truth. Happily Ever After …Or Happily Nevermore? Gisela’s childhood was filled with laughter and visits from nobles such as the duke and his young son. But since her father’s death, each day has been filled with nothing but servitude to her stepmother. 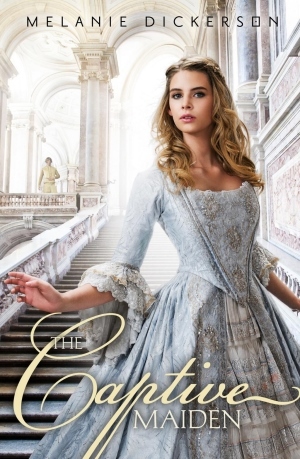 So when Gisela learns the duke’s son, Valten—the boy she has daydreamed about for years—is throwing a ball in hopes of finding a wife, she vows to find a way to attend, even if it’s only for a taste of a life she’ll never have. To her surprise, she catches Valten’s eye. Though he is rough around the edges, Gisela finds Valten has completely captured her heart. But other forces are bent on keeping the two from falling further in love, putting Gisela in more danger than she ever imagined. And HERE for Melanie Dickerson’s website. Disclaimer: I won a free copy of this book from Grace Thorson | A Paradise of Colors. THANK YOU Grace! I was not required to review the book but I have to share thoughts on such a wonderful book! And I have my son to thank. He was the one who insisted I read it. I am going to trust his judgment a lot more in the future! I’m also kicking myself a bit. He brought me a copy of Fairest Beauty the last time we were at the book store and I didn’t get it. THANK YOU for writing such a wonderful story of inspiration and whimsical romance! I can hardly wait to read the others! And I just saw that you have another coming out this year! Exciting!